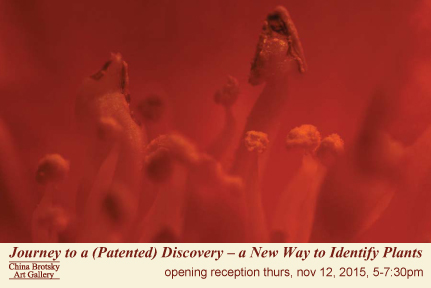 SOLO EXHIBIT: "Journey to a (patented) Discovery"
A wide-ranging pictorial exhibit of Ms. Dunlap's was displayed. Her work led to a patented botanical discovery that embodies a new system and method to identify plants. The exhibit included over seventy paintings, photographs, and images of the software that memorializes her discovery. This show included a comprehensive review of plants that attract butterflies. Information provided by local butterfly gardening enthusiasts was integrated into the display.